The process of Canadian permanent residency is divided in two parts. 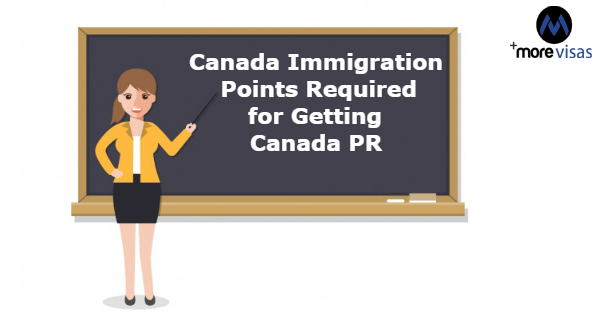 The first step for a skilled PR applicant is to create a profile in Express Entry system or in a PR program. Subsequently the applicant is selected in Express Entry pool, depending on the Comprehensive Ranking System score. The I.R.C.C. selects the high ranking profiles from the express entry pool by conducting fortnightly draws. Finally it invites the deserving candidates to apply for PR visa in 90 days. Furthermore the norm of the second step is to submit a PR application complete in all respect accompanied by the required documents. The immigration officials assess and verify all the application and documents. In case they are correct, PR approval is issued in the name of the applicant. Importantly the C.R.S. is the deciding factor to reach the second stage of the process. Comprehensive Ranking System is based on points which evaluate the eligibility and suitability of a visa applicant. Moreover, there are points for age, education received, work experience gained, Language ability specific to English or French and some other norms also. When the C.R.S. score of a candidate is high he/she has a great chance to get the Invitation to apply for seeking Canada PR visa. The I.R.C.C. issues it. I.R.C.C. also holds a draw every fortnight and selects the suitable and top ranking profiles from the E.E. pool. There are marks in every draw. The applicants who touch or cross the cut off marks are successful to receive the I.T.A. for PR Visa of Canada. What are the C.R.S. Points enough to obtain the I.R.C.C. invitation? The qualifying marks change in every draw. There is no standard or fixed pattern regarding the qualifying marks. By following the trend in the recent as well as some previous draws, the applicants can get the knowledge of Canada PR from I.R.C.C.